Kath, So nice to meet you! I just watched your video of HF SOMETHIN HOT… very impressive! What a nice horse that had a great Mama! It is obvious that he has done for Australia what Blazing Hot is doing in the U.S., improving the breed beyond any expectations! I had the pleasure of selling HF Somethin Hot to Mrs. Anthony as a weanling. Pauline invited me over to ride Sam as a 2 and 3yr. Old. I thought he was one of the most amazing horses I had ever ridden. He has passed those wonderful qualities on to his get and I wish you continued success with Sam. I also showed his full brother HF Show Me The Money to several Congress Res. Championships. Such a great family! This is the story how Sam came to be in Australia. 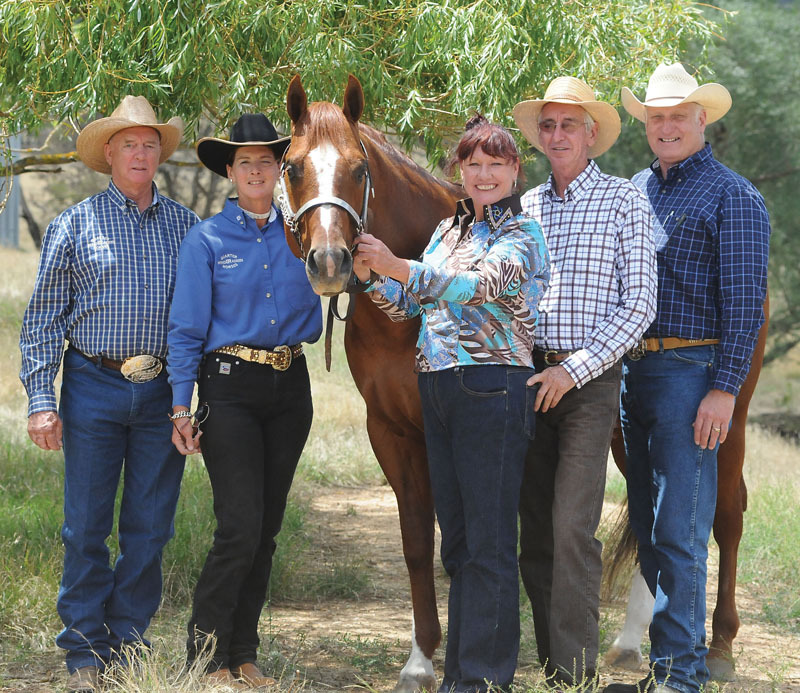 The Wolf family who raised Sam and owned Tahnee Zippo were customers of mine and I trained the daughter’s horses. I was up in Michigan at a show with their horses and Terri wanted me to come and see Sam. He was such an outstanding baby and he just took your breath away when he loped! A few months later I was visiting with Ruth Ellen and I said to her in passing that I had seen this phenomenal stud colt and just in case she would come across someone “looking” to keep him in mind. Ruth said “as a matter of fact I do know someone looking, Nancy Cahill for people in Australia!” So that’s the circle completed! 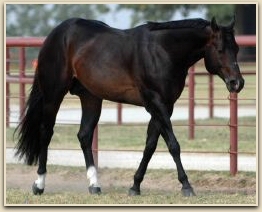 HF Show Me The Money had been in training at several big name trainers in TX his 2 and 3 year old year. He was still a stud at the time. Todd Simmers showed him at the Congress as a 3yr old with no success. The Wolfs sent him to me after that and I rode him a bit and told them if they wanted me to ride him they would have to castrate him. They did and when all stallion hormones went away he ended up being a great show horse! I would love for you to post my comment on your web site! I loved Sam and Pauline did a magnificent job with him. When I rode him for the first time it just gave me goose bumps! Amazing horse. I currently am the stallion manager for Invitation Only and Lazy Loper. We also stand Winnie’s Willy who is a Superior Pleasure horse and full brother to Invited Tiger who I also sold to Mrs Anthony as a weanling. I want you to know that when Pauline said Winderadeen was being closed I tried very hard to find a buyer for Sam to bring him back to the States! It was just too hard with our market to inspire a sale and it is our loss and your gain for Sam to stay in Australia. Please stay in touch and keep me posted on Sam’s get as he starts into his life at your farm. I wish you all the best! We believe we have entered a new level introducing HF Somethin Hot to Coronation Park Stud. We salute “Winderadeen”, Pauline and Peter Stewart Fox, and the era we have just seen “come to pass”.The Sale of Winderadeen Corporation. Our love of the western horse is our driving force and we thank you all for your kind and generous support over the years. It is our intention to keep Coronation Park at the top of the game. We are very PROUD to offer you, our clients, friends and supporters the very best in horse flesh to produce your “all round horses” for years to come. Coronation Park Stud has bred many great riding horses over the years, we have always concentrated on “sound minded horses” that have “form to function” to be competative in what ever their chosen field. Whilst some people commented at the “Winderadeen” sale, “Coronation Park Stud breed paints and halter horses don’t they? This is partially true, our horses, whether paints or quarter horses, have performed at the highest level in “ALL ASPECTS” of the performance world from traditional English – HACKING through DRESSAGE and EVENTING to the WESTERN world and RODEO. We breed VERSATILE sound beautiful horses. My pleasure horse days go back some 30 years, just as a brief insight we have decided to list a few of the great ones that you may remember below; I have only touched on some personal favourites. SPECTACULAR MORN, a beautiful Morn Deck horse that I bred and sold. 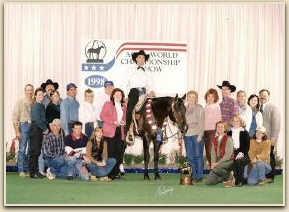 Simon Myers took Jamie to Reserve champion in the Robyn Yates Sires Classic Western Pleasure as a 2yo. This event was the PRESTIGE event of Western Pleasure back before NPHA and attracted huge entries from all over Australia. Jamie’s performance includes. 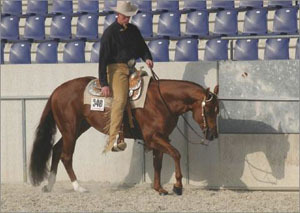 Hunter Under Saddle ROM ;Halter ROM + Superior Horse ;Western Pleasure ROM + Superior Horse; Bridle Path Hack ROM; and AQHA QUARTER HORSE CHAMPION AWARD + 302.5 points and 10 awards Jamie went on to sire NATIONAL, STATE AND ROYAL SHOW CHAMPIONS at halter, western pleasure and Hunter Under Saddle. With my passion stirred in Western horses I purchased a performance mare. MORN MYSTIQUE, a delightful filly, A TRUE PLEASURE TO WORK WITH! 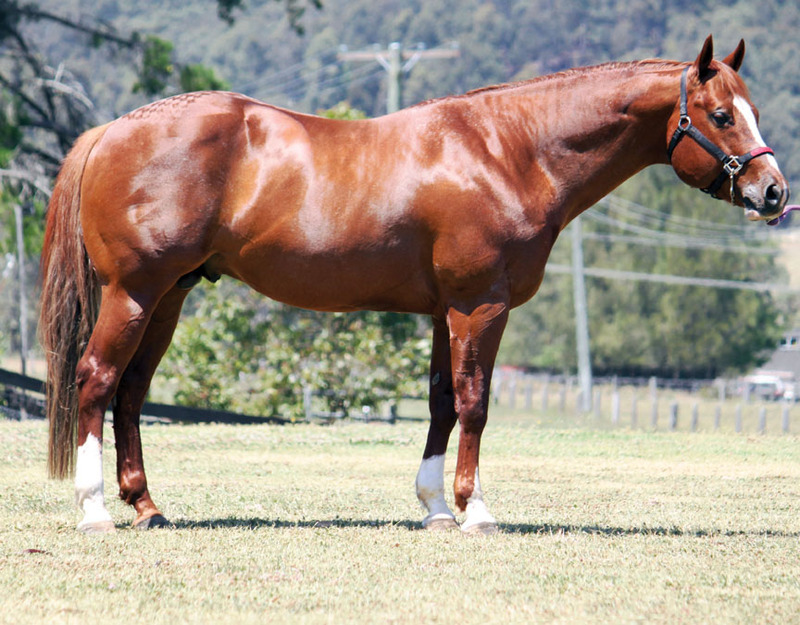 Sister to Spectacular Morn (see Above) Janie and I won the ROBYN YATES 2yo SIRES CLASSIC western pleasure from a huge field, I was thrilled and totally won over to western horses by her, my show hacks and dressage horses were becoming the second choice of rides. I rode Janie to western pleasure and hunter under saddle victories at Royal level, she certainly was a favourite, maybe a once in a lifetime horse? We are thrilled with W. Havealilfaith as she is the image of JANIE! Sadly I lost Morn Mystique to a rare congenital disorder, in some 12 months halter showing she achieved the high point QH of Australia award at Halter + ROM + Superior Horse + Achievement + Bronze Century and in 3 months of riding she won the prestigious ROBYN YATES 2yo SIRES CLASSIC western pleasure and Royal show, western and English champions achieving her ROM at Performance. + 165.5 AQHA points and 5 awards Janie, like Faith, is a dream horse! I am proud to say that I bred, broke, schooled/trained and showed all my own horses. OH SO SHAMELESS: MULTIPLE NATIONAL AND STATE CHAMPION at – Western Pleasure, Hunter under saddle and Halter. NPHA 2yo Western Pleasure 3rd, with Ross Gould aboard; High point halter horse of Australia as a weanling. ABSOLUTELY SHAMELESS: MULTIPLE NATIONAL AND STATE CHAMPION Western pleasure, Hunter under saddle and at halter, NPHA top 3 with Ross Gould aboard. 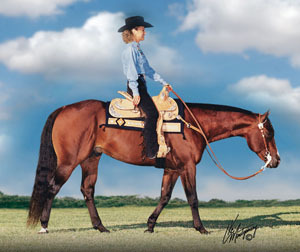 MYSHAMELESSFANTASY: MULTIPLE NATIONAL AND STATE CHAMPION Western Pleasure, Hunter under saddle and at halter. High point halter horse of Australia as a weanling. JUST FANCY THAT: MULTIPLE NATIONAL AND STATE CHAMPION western pleasure, hunter under saddle in open and youth and at halter. The list goes on. We have not touched on the National halter, Amateur Champions, Royal show nor Rodeo greats. This is just a brief to allow you to share some of the wonderful performers out of Coronation Park Stud. Again, a very BIG Thank you to everyone, for your amazing show of support. BRED TO BE A CHAMPION! 2005 A. H. S. ALL AGE HUNTER RES CHAMPION. HF SOMETHIN HOT HAS EXCELLED! HIS YOUTH HORSES ARE EXCEPTIONAL. “H.F. 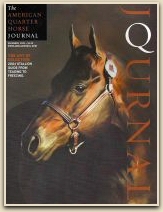 SOMETHIN HOT” ~ THE AQHA ~ “LEADING SIRE” 2012. “H.F. 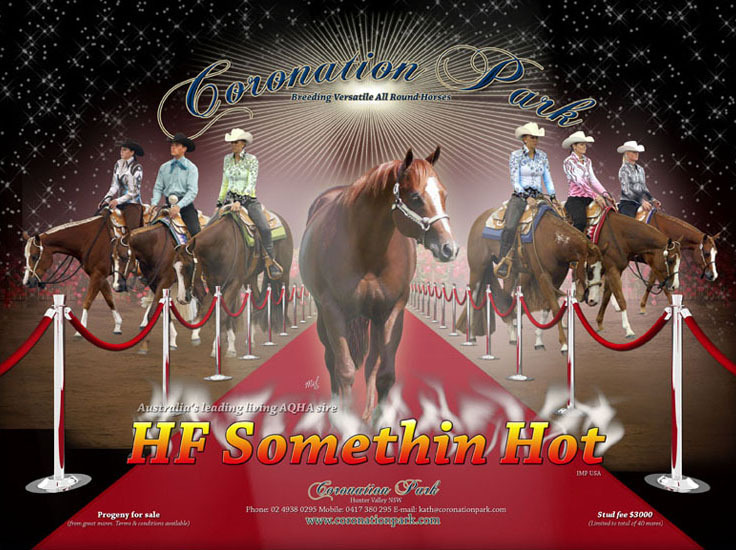 SOMETHIN HOT” ~ THE AQHA ~ “LEADING SIRE” 2013. HIS BREEDING, TEMPERAMENT AND QUALITY HAS NO EQUAL. 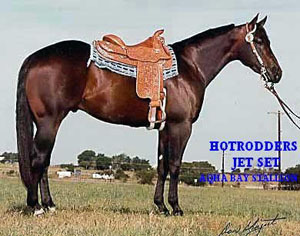 ONE OF THE MOST REPECTED BROODMARES IN THE WESTERN PLEASURE INDUSTRY! Southern Bell Invitational 3-Year-Old $7.5 Ltd Open Co-Champion. 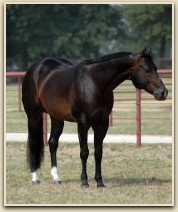 A LEADING USA EQUISTAT SIRE – A LEADING BROODMARE SIRE. THE ONLY HORSE TO WIN THESE TWO WORLD TITLES IN THE SAME YEAR! 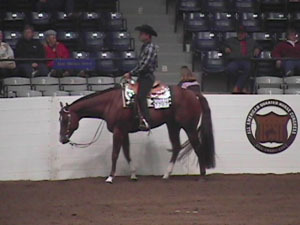 AQHA WORLD RESERVE CHAMPION 2-Year-Old Open Snaffle Bit. 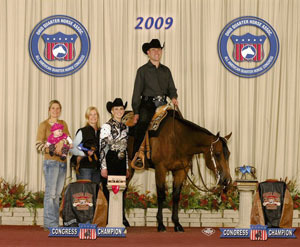 Dam of 4 performers including– IMAGIMOTION earner of $13,103 and 160 AQHA Points; AQHA Open Champion. 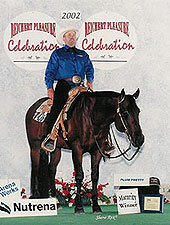 ON HOLIDAY earner of $5,456 and 176 AQHA points: Open High Point Western Pleasure Stallion; Superior Western Pleasure. Benefit 3-Year-Old Open Western Pleasure Reserve Champion; Superior Western Pleasure. 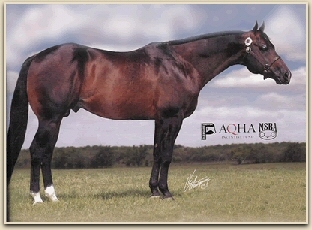 Sire of AQHA WORLD CHAMPIONS and offspring earning over $697,194. MY BODYS HOT (World Champion 2-Year-Old Western Pleasure Horse). NOTE* HOT N SPICY ME AND BLAZIN HOT ARE BOTH FROM TAHNEE ZIPPO! HF SOMETHIN HOT IS A 7/8TH BROTHER TO THE GREAT BLAZIN HOT!